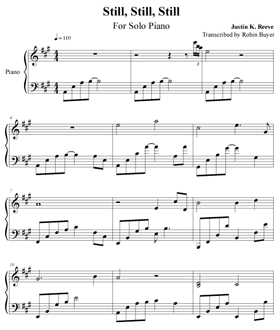 All sheet music here is free to download. 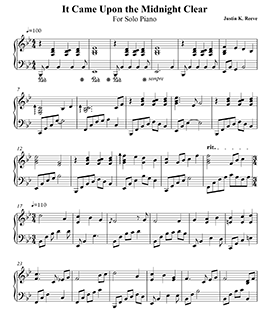 I would like to buy sheet music for your arrangement for Candlelight Carol. I love it! Is the sheet music available for purchase. 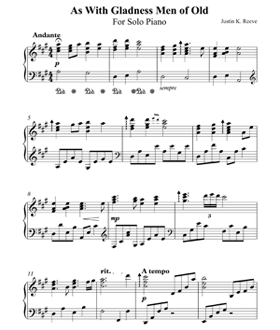 All the sheet music here is free for download, and this page will be updated as I continue to add more. If you have any specific sheet music you’d like that isn’t here, please let me know, and I’ll look into the possibility of putting it up. 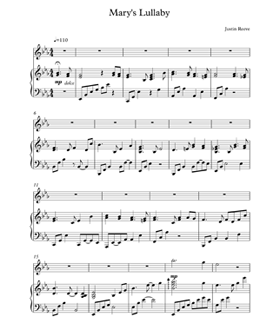 I would love to have a piano arrangement of Candlelight Carol by John Rutter. 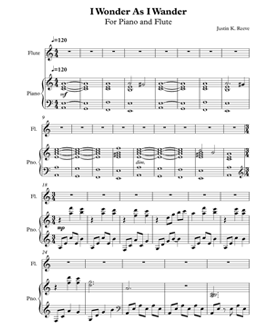 Do you have a free download of an arrangement? 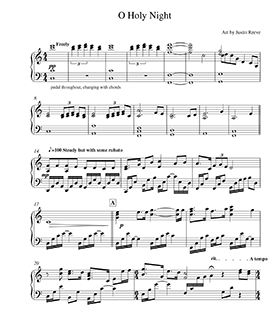 Do you have the sheet music to “In the Bleak Midwinter” available for piano and flute? 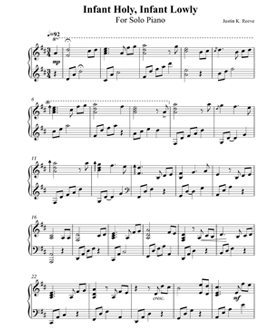 I have not done sheet music for “In the Bleak Midwinter” yet, though it’s one I’ve definitely thought about. (Most of the other instruments could probably be done with a single cello, too.) I’ll see what I can do when I have the chance, though I can’t completely guarantee I’ll have it in time for Christmas this year. I’ll do my best, though! As for those who always ask about “Candlelight Carol” 🙂 … the only reason I haven’t done so is because it’s a copyrighted song. 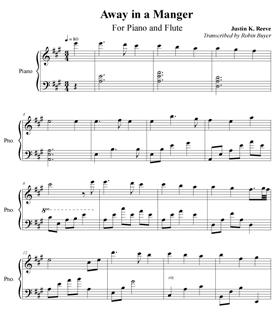 Just requesting sheet music with the full score of “The First Noel” Piano and flute, along with the other parts I hear in the music! I love this. It is so very beautiful. I made a comment in request a song, but this is probably where I need to ask about this. Thank you for all you do, so beautiful! Hi, Julie. I’m so glad you like the song! I’ll admit, it’s probably my favorite arrangement out of all the ones I’ve done. I’m afraid I don’t have the other parts, though I’ve considered transcribing them before. I’ll keep it in mind! 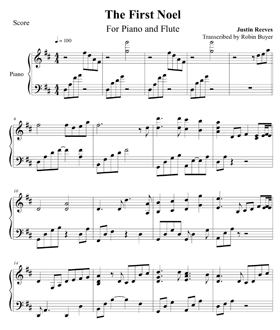 One thing to note about the flute part is that it was originally made for a tin whistle. You might want to bring it down an octave for the flute if that works better. I love your arrangements! Usually I can find sheet music but not ones that I like or ones that have an arrangement that I like. “Where are you Christmas” and YOUR version of “Pacabel’s Canon” would be wonderful! Thank you! Thanks, Allison! If I get the chance to work on those, I’ll create some sheet music.